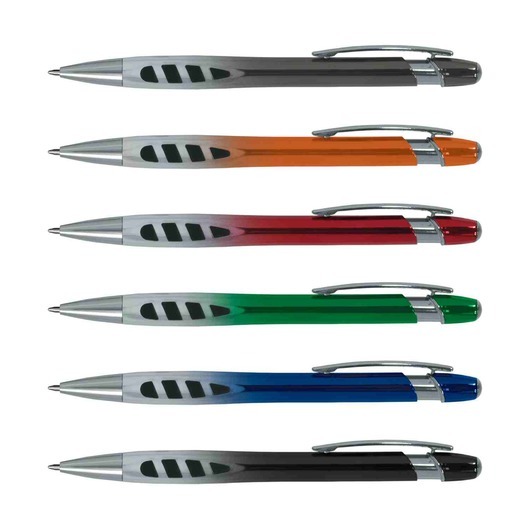 Retractable ball pen with lacquered barrel, soft rubber inserts, shiny chrome trim, shiny chrome trim, and German made ink. Can be presented in an optional velvet sleeve or a gift box. This retractable plastic and metal ball pen combines the convenience of a retractable with amazing writing experience with a highly polished two tone UV lacquered barrel, soft rubber inserts in the grip zone and shiny chrome trim. 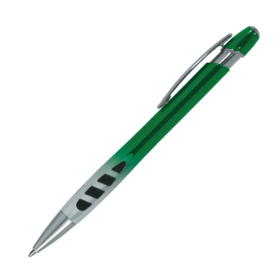 It has a black refill with 1200 metres of German manufactured DOKUMENTAL ink and a tungsten carbide ball for improved writing quality. 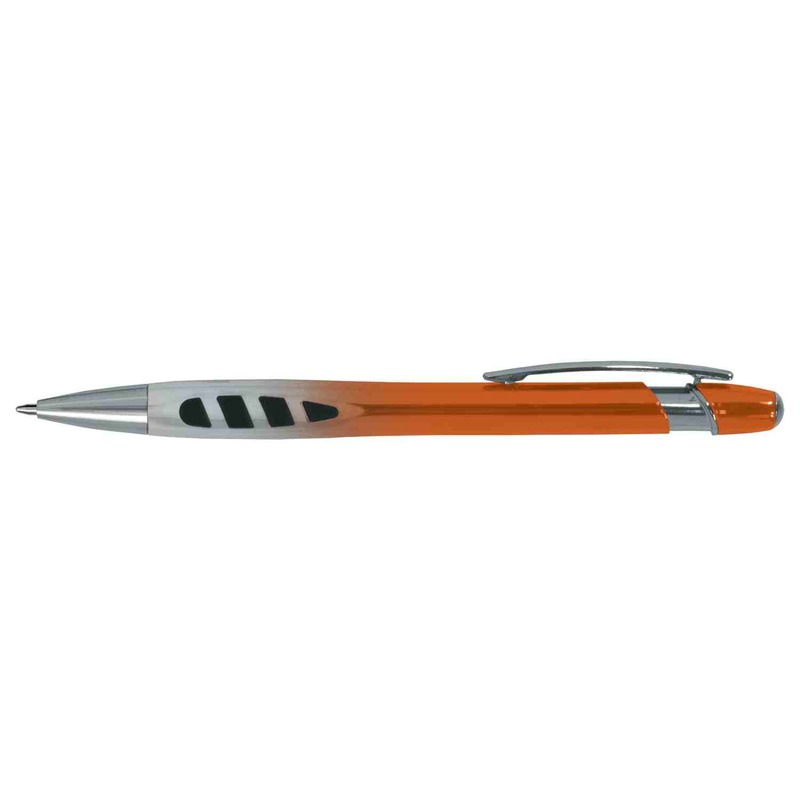 It can be presented in an optional velvet sleeve or a gift box.